Cups / Fujitsu Cup / The 23rd Fujitsu Cup Final: Kong Jie vs. Lee Sedol! In the first round of the 23rd Fujitsu Cup Japan had a powerful start, winning four games (even Ishida Yoshio 9p, who is over 60 years-old, defeated the famous Mok Jinseok 9p from Korea!). Nevertheless, this miracle was not to last: in the second round all the Japanese players were eliminated. 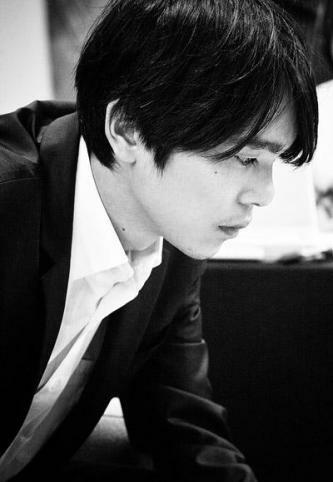 In the third round, Lee Sedol 9p (Korea) beated Gu Li 9p (China) and qualified for the semifinals, where he defeated Piao Wenyao 5p (also from China). At the same time, Kong Jie 9p (China), who defeated Ishida Yoshio 9p in the second round, also qualified for the semifinals (having beaten Kim Jiseok 7p, from Korea, in the third round). Finally, after defeating Qiu Jun 8p (China) in the semifinal, Kong Jie 9p faced Lee Sedol 9p in an exciting final! Here you have the Final game (Kong Jie was the winner, W+12,5). Please enjoy the game (particularly the extreme fight that occurred after WhiteвЂ™s cut at Q11)! Kong Jie 9p won the 23rd Fujitsu Cup! Check under "Others", we post news there regularly.